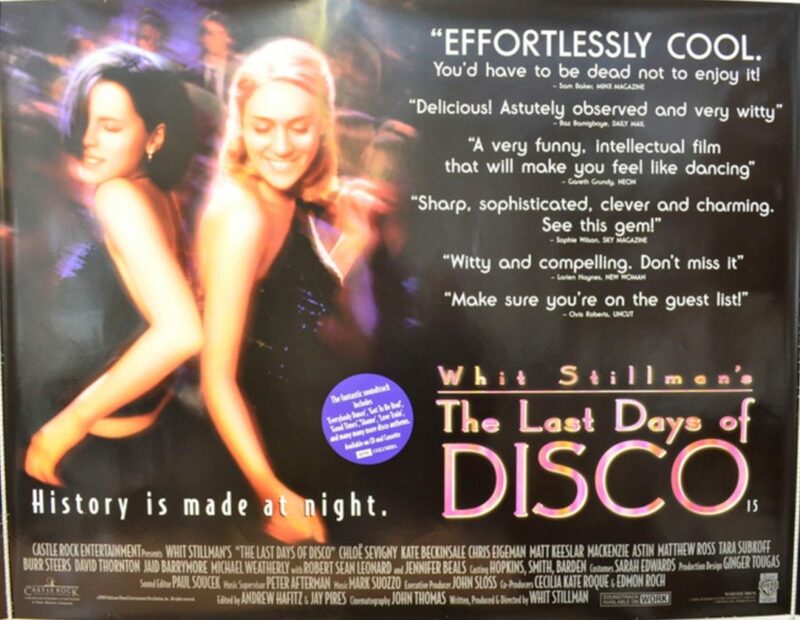 Whit Stillman Reflects on the 20th Anniversary of “The Last Days of Disco” by Joshua Encinias for The Film Stage (May 24th, 2018). Stillman talks about why Alice was “friends” with Charlotte, his experience in clubs, the sound mix of the film, and his future projects. 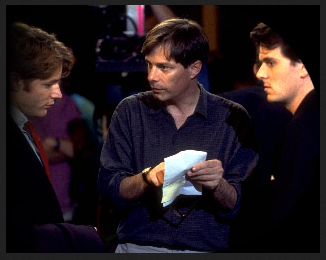 Whit Stillman will be on Tom Needham’s The Sounds of Film, Thursday, May 31st at 6pm. The online broadcast can be heard here (click on the player in the upper left hand corner). Stillman talks about the genesis of the film, costumes, novelization, his favorite song in Disco, and more. What was going on in your life when you were writing The Last Days of Disco script? It sort of came out of the editing of the prior film we worked on, Barcelona. When we were in Barcelona, we had a really tough shoot physically with a lot of night shooting. Then we had a wonderful day in a chic, old-style European disco club, Up & Down, and did a big disco scene there and really had a great time shooting. If you’re doing a film like this set at night, if it’s a disco you can actually shoot during the day, so it’s the easiest day for night. It’s really sort of fun. Normally on these films, you’re exhausted all the time. We were looking at what we shot in the two disco scenes in Barcelona and it just seemed so visual and so cinematographic. In our kind of films, you have to strive hard to make it look like anything — it’s people talking and things like that. In this case, those scenes had a sort of action and beauty, and we had the idea of two lovely girls in nightclubs. I myself loved the disco era. I loved the music and the atmosphere, and it gave me a chance to go back to that time.